Found 3 file extension associations related to RuneScape and 3 file formats developed specifically for use with RuneScape. 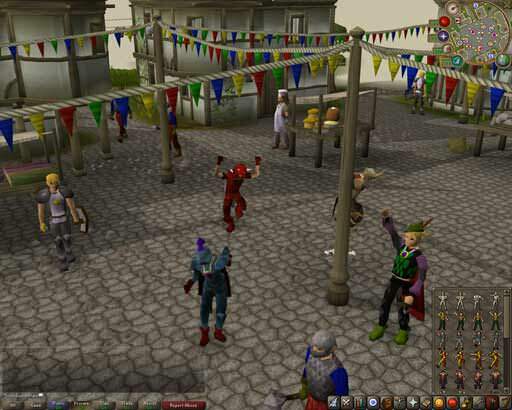 RuneScape is a fantasy massively multiplayer online role-playing game (MMORPG) released in January 2001 by Andrew and Paul Gower, and developed by Jagex Ltd. It is a graphical browser game implemented on the client-side in Java, and incorporates 3D rendering. The game has approximately 10 million active accounts, over 130 million registered accounts, and is recognised by the Guinness World Records as the world's most popular free MMORPG. If you need more information please contact the developers of RuneScape (Jagex Ltd.), or check out their product website.